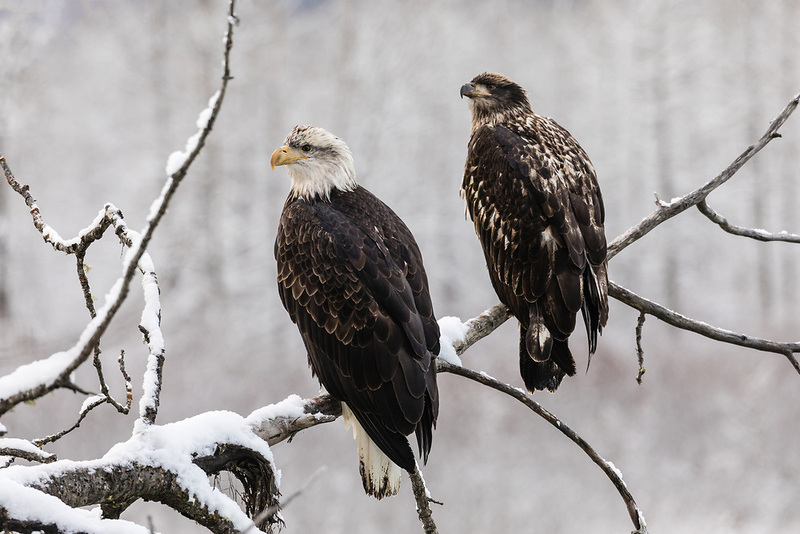 Juvenile Bald Eagles (Haliaeetus leucocephalus) perched on cottonwood branch along the Chilkat River in the Chilkat Bald Eagle Preserve in Southeast Alaska. Winter. Morning.